Weddings, for people all over the world, are moments of sheer bliss and ecstasy and are one of those things that are much awaited in everyone's life. Thus, they cannot be taken lightly and it should be ensured that they leave you with everlasting memories to cherish all your life. So, wedding pictures are not just pictures, but memories to hold on to, that are cherished through generations. Consequently, it is very important to have the best of wedding photographers on the D-Day and below are some tips for the same. Before anything else related to wedding photography, it is of utmost importance to make up your mind on what kind of wedding photography you prefer. Whether you want to go for a traditional approach with posed images of the subject or you prefer the subject to be photographed without the subject knowing about it, that is, candid photography. There are a lot of different styles for wedding photography and equipping yourself with all the required information and choosing your preference is highly recommended. When it comes to choosing a wedding photographer, one has to decide the kind of service that is needed. The photographer could be required for just 1-3 hours on the marriage day or there could also be a requirement for pre-wedding engagement, bridal portraits, newly wed photos and even rehearsal dinner photographs. There are photographers who click about hundred images and even there are professionals who provide thousands of photos for you to cherish. So, it is your call to make a decision. It is very important to have a budget set for photography, like everything else. Fees of the photographer, cost of the albums and also the prints can be really expensive. So, you should wisely decide on how to go about it. The photographers can give you the pictures in the form of a CD or negatives. For large number of prints, it is usually better to get the negatives or otherwise, you can even get all the photos through CD-ROM. This decision, again, needs to be made keeping in mind the number of photos that are clicked and the number of photos that you want with you. 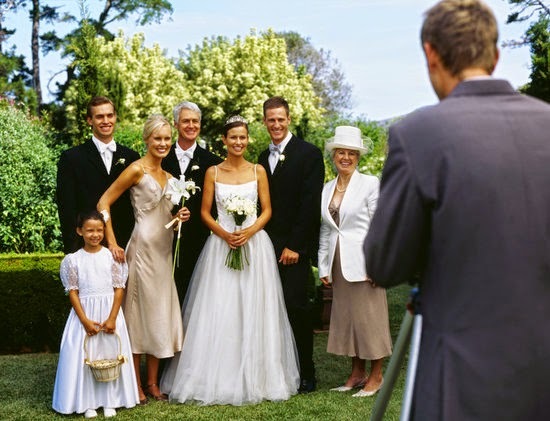 You can even look for the famous wedding photographers on the web or ask your friends regarding the same. Before selecting a photographer, it is highly recommended that you research well about this type of photography and the photographers in this field. After researching about the wedding photographers, it is very important to list out the paparazzi who fit your criteria. You should select on the basis of service, the cost and the quality. This would surely make the whole process easier to select the desired photographer for the final day. Once and for all, after finishing your search, it is advisable to meet the photographer in person to convey your expectations well. You could also go through his brochure to know about his work. So, to have the finest of wedding photographers for the big occasion, mentioned above are some of the ways or tips that can help in conducting a good photography session which would be cherished for the rest of your life.